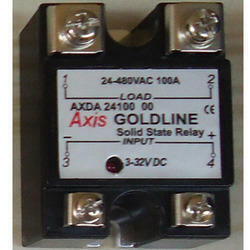 We are the prominent manufacturer, supplier and exporter of excellent quality Solid State Relays. 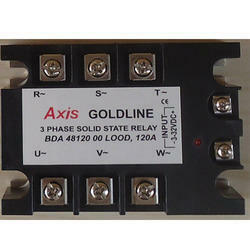 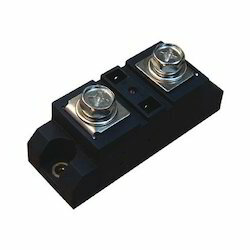 These Solid State Relays have high performance and are widely demanded. 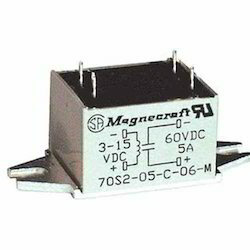 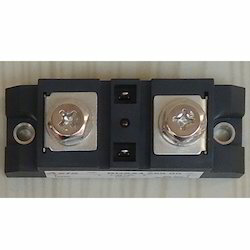 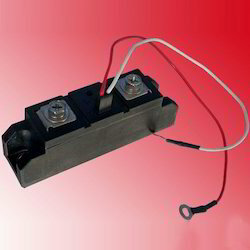 These relays are ideal for use in deliberator and other high voltage purposes. 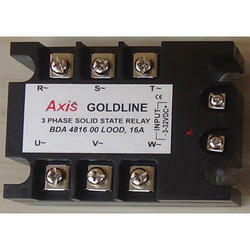 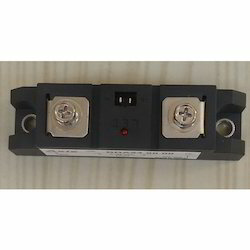 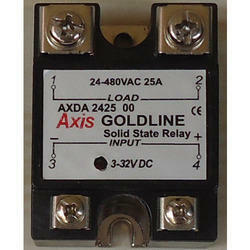 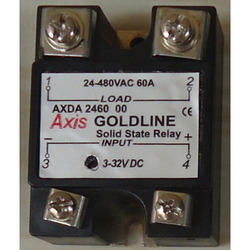 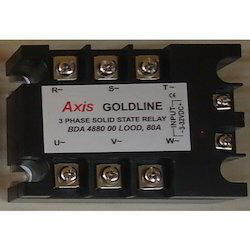 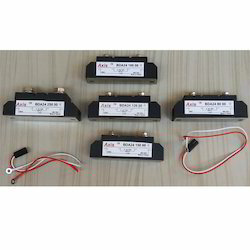 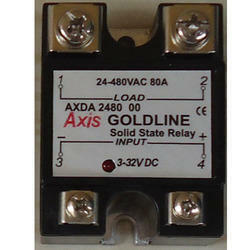 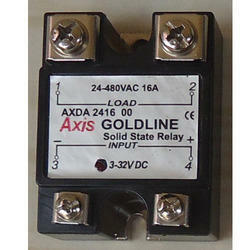 We offer these solid state relays at affordable price. Microprocessor based Controls such as Automatic Vending Machines, etc. For Process Control Systems using PLCs such as Programmable Controls, DCS, etc. 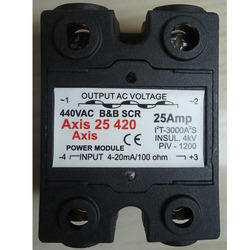 Temperature Control Systems such as Microwave Ovens, Heater Control, Lamp Control, Injection Moulding Machines, etc. 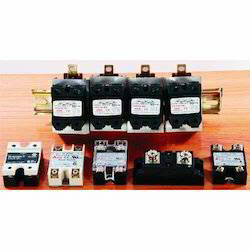 Home Appliances such as Washing Machines, etc. 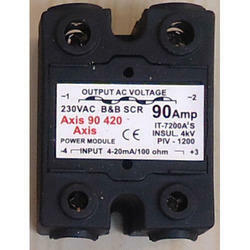 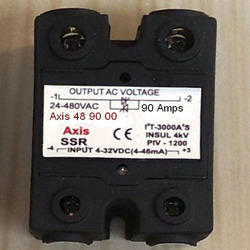 Input: DC / AC Control, AC / AC Control, DC / DC Control. 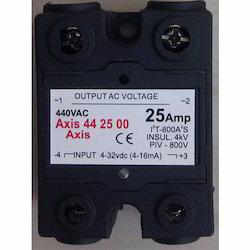 Backed with our sophisticated technological support and infrastructural advancement we present our customers with DC To AC Solid State Relay suitable for constant resistance loads up to 700A, also are suitable for heavy loads and bear immense capacity to uphold a longer working life. 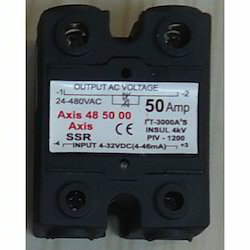 In order to bring up this smart range we continue to machine our product line with best in quality features. 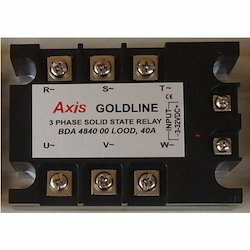 The proper selection and application of these three phase SSRs depends on the three phase power system and typical loads, and while every application is different it also requires its own scrutiny that allows us to generalize about the characteristics of their applications. 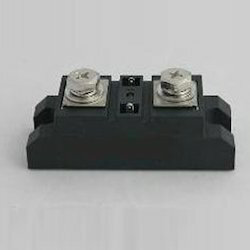 We are manufacturer and supplier of DC To DC Solid State Relay ( Power Mosfet) Single Phase DC Load and DC To DC Solid State Relay Single Phase. 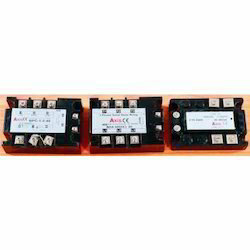 We are an eminent name in offering our clients with high end Back To Back SCR DC To AC Solid State Relay, that are demanded for improved performance and their increased reliability. 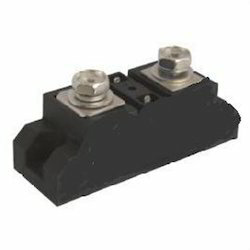 These motors are generally mechanically robust and are provided with an interlock circuit that prevents the forward and reverse relays from turning on simultaneously. 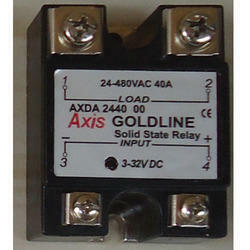 Looking for Solid State Relays ?